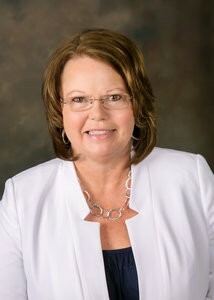 Chris Goode - Judy B. Cleaves Properties, Inc.
Chris was born in Charleston, W.Va. and is 1 of 5 children. Her parents brought the family to Winter Haven in 1972. Chris was raised in the motel business as her parents owned one of the mom and pop motels in Winter Haven for many years. Shortly after high school Chris met and married her husband Matthew. Chris has 3 grown children and 2 grandchildren whom she adores. She has previously worked with Matthew for 18 years in his business of General Contracting and custom home building and was also employed for 7 years in the sales department of a local recreational vehicle business. Chris’ many years of experience in construction, real estate and sales has greatly complemented her profession as a REALTOR. She is a member of the East Polk County Board of REALTORS, The National Association of REALTORS, The Florida Association of REALTORS and the Winter Haven Chamber of Commerce. Chris continually increases her knowledge of real estate by attending classes and seminars throughout the year. PROVIDING EXCELLENT CUSTOMER SERVICE IS MY PRIORITY! BUYING a home is an exciting time and your home should be selected with care. Your wishes are of most importance so that is why I carefully listen to your wants and needs. Whether your needs consist of location, price, floorplan, school zones or all of the above, it is my priority to help you locate the right home. SELLING your home involves a lot more than simply putting it in the MLS (multiple listing service). I will help you arrive at an asking price, give you tips and assist with getting your home in show shape, advertise it in many locations, and personally set up the showing request. As your REALTOR I feel you deserve the personal attention and care that will add you to my long list of Happy Customers.